18 – 19 year old teens can be the most difficult to address simply because they are considered adults and cannot be forced to get help. As parents, we have limited to no control. Practicing “tough love” is easier said than done, many parents have a problem letting their child reach rock bottom. As parents, we see our child suffering whether it is needing groceries or a roof over their head and it is hard to shut the door on them. It is human nature to take care of them. I think this is one of the most important reasons that if you are a parent of a 16-17 year old that is out-of-control, struggling, defiant, using drugs and alcohol, or other negative behavior - it is time to look for intervention NOW. I am not saying it needs to be a residential treatment center or a program out of the home, but at least start with local resources such as therapists that specialize with adolescents and preferable offer support groups. Fact is, you need help. Don't be a parent in denial and be open to outside resources. You don't have to do this alone. It is unfortunate that in most cases the local therapy is very limited how it can help your teen. The one hour once a week or even twice, is usually not enough to make permanent changes. Furthermore getting your defiant teen to attend sessions can sometimes cause more friction and frustrations than is already happening in the home. This is the time to consider outside help such as a Therapeutic Boarding School or a Residential Treatment Center. However these parents with the 18-19 year old teenagers may have usually missed their opportunity. They were hoping and praying that at 16 or 17 things would change, but unfortunately, if not addressed, the negative behavior usually escalates. In the past 12+ years I have heard from thousands of parents and most are hoping to get their child through high school and will be satisfied with a GED. It is truly a sad society of today’s teens when many believe they can simply drop out of school. Starting as early as 14 years old, many teens are thinking this way and we need to be sure they know the consequences of not getting an education. Education in today’s world should be our children’s priority however with today’s peer pressure and entitlement issues, it seems to have drifted from education to defiance being happy just having fun and not being responsible. I think there are many parents that debate whether they should take that desperate measure of sending a child to a program and having them escorted there but in the long run you need to look at these parents that have 18-19 year old that don’t have that opportunity. While you have this option, and it is a major decision that needs to be handled with the utmost reality of what will happen if things don’t change. The closer they are to 18 the more serious issues can become legally. If a 17+ year old gets in trouble with the law, in many states they will be tried as an adult. This can be scary since most of these kids are good kids making very bad choices and don’t deserve to get caught up the system. As a parent I believe it is our responsible not to be selfish and be open to sending the outside of the home. It is important not to view this as a failure as a parent, but as a responsible parent that is willing to sacrifice your personal feelings to get your child the help they need. At 18, it is unfortunate, these kids are considered adults – and as parents we basically lose control to get them the help they need. In most cases, if they know they have no other alternatives and this is the only option the parents will support, they will attend young adult programs that can offer them life skills, emotional growth, education and more to give them a second opportunity for a bright, successful future. Do you need help finding young adult life skills programs or do you have a teen that is struggling? 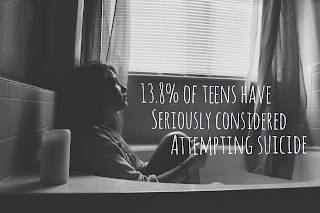 Contact us at www.helpyourteens.com.